Jon Conklin, a Professional Golf Association member, may have had his start in the private side of the golf industry, but for the past nine years his attention has been fully focused on creating the most enjoyable public golfing experience possible. 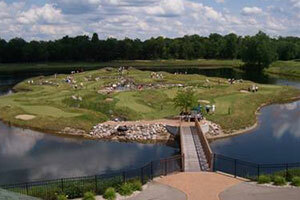 As Director of Operations and Head Golf Professional at Bucks Run Golf Club in Mt. Pleasant, Conklin’s philosophy is “whatever we do, do it right.” This includes providing amenities at Bucks Run usually reserved for an upscale private course, such as handing out chilled wet towels to players on especially hot days. The club also recently invested in new golf carts with GPS that will be available to all players—members and guests alike. “We don’t cut corners,” said Conklin. Another new amenity players will enjoy this year at Bucks Run is the addition of GolfBoards, which is a fun new addition to the game speeding up the pace of play while providing a great leg workout. The product is a cross between a Segue and a skateboard, allowing its riders to surf the course. Bucks Run is one of the first golf facilities in the state to offer this fun alternative to a cart, and the club also offers a 20-minute training session on site. 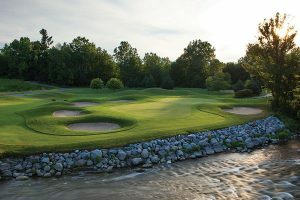 The innovative offering is an example of Conklin’s desire to provide a first-class experience to the golfers who choose the Jerry Mathews-designed public course. 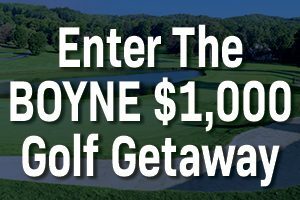 The 18-hole course itself is situated on 290 acres of bentgrass and features natural wetlands, lakes, rivers and wooded areas; providing a true Northern Michigan golfing experience for golfers of all skill levels. Its 18,000 sq. ft. clubhouse features a golf shop, restaurant and banquet facility, as well as outdoor patios suitable for al fresco dining and special events. While Conklin admits that Bucks Run is not the lowest cost course available, as a consumer he understands people appreciate the value for their hard-earned money. The club offers stay-and-play packages, Tuesday Ladies’ Day, and Sunday Family Days. Conklin also encourages people to sign up for the club’s email specials. And although he’s proud of the private-course amenities Bucks Run offers, he also wants to ensure everyone feels welcome and at home while they’re there. “I just want everyone to have a great experience,” said Conklin. For more information, visit bucksrun.com or call 989-773-6830.